India and Peru recently started negotiations on a free trade agreement (FTA). By when do you think the agreement is likely to be signed? Last August, the first round of negotiations took place in Delhi, to reach a comprehensive bilateral FTA in order to enhance economic relations between India and Peru. It involves not only trade in goods but also other substantial matters: services, investment promotion, mining, intellectual property, traditional knowledge, tourism, creative industries and others. It is the first of its kind in that India is negotiating with a Latin American country. Both governments have expressed their commitment to reach this agreement in the shortest time possible but it is difficult to say how soon the agreement is likely to be signed. Trade between the two countries has grown steadily and Peru has become India’s fourth ranking trading partner in Latin America. Likewise, there is a growing interest among investors and entrepreneurs of both the countries to develop new ventures and to internationalise their businesses. In that sense, Peru offers an open economy and an expanded market thanks to the 21 FTAs ~ bilateral and multilateral ~ that it has signed with the main world economies. 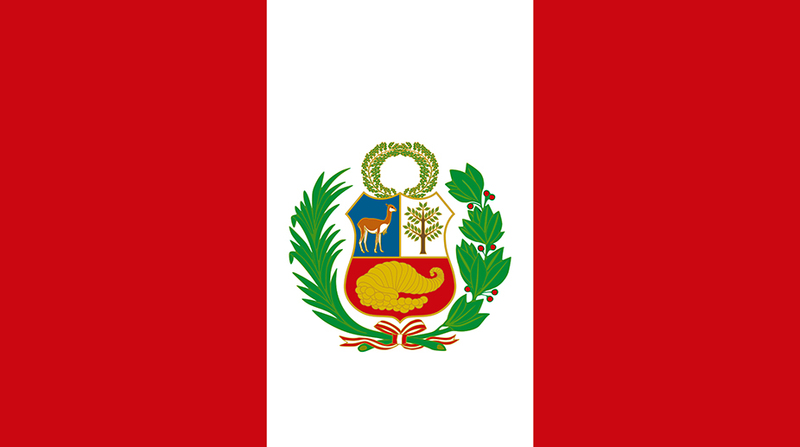 Peru is the founder member of the Pacific Alliance which includes Colombia, Chile and Mexico. It has been an APEC member since 1998 and part of the group of 12 countries that concluded negotiations of the Trans Pacific Partnership (TPP). How do you look at India-Peru relationship given the geographical distance between the two nations? The relationship between Peru and India is based not on the geographic issue of vicinity but rather on a shared vision of democratic values, respect for human rights, multiculturalism, and the right of every individual to develop their potential, free enterprise and access to markets. After 54 years of diplomatic relations, we can say that 2017 is turning out to be the most magnificent year as far as strengthening, expanding and diversifying bilateral relations is concerned. The recent Joint Commission held in Lima, the signing of three bilateral agreements, the start of the negotiation of the FTA, the opening of the Art Gallery of the Embassy of Peru and the upcoming official visit to India of the President of Peru, HE Pedro Pablo Kuczinski, in which important agreements will be signed, is clear proof that our bilateral relations are at their peak. Peru is committed to the causes of the world and to the values and principles of the United Nations ~ an organisation which believes in multilateralism and in the need to modernise and strengthen international forums and organisations, in particular its principal organs and specialised agencies and organisations in the areas of security and development, in order to make them more legitimate, representative, accountable and effective. Indeed, amongst them is the Security Council. Within such a view, Peru is a longstanding supporter of the reformation and expansion of the Security Council as well as of the aspiration of the Indian government to become a permanent member of the Security Council. What is being done by the two countries to promote people-to-people contacts? One of the most significant unilateral steps to promote people-to-people contacts has been the liberalisation of visa issuance to Indian travellers holding a visa from either the United States of America, the United Kingdom, Schengen countries, Australia or Canada, with a minimum validity of six months, who are then able to enter Peru as a tourist/business traveller for a period of 90 days. The Indo-Peruvian Friendship Association (INPEFA) recently relaunched in New Delhi with individual and corporate members, The Friendship Association Peru India, the Cultural Centre of the Embassy of India in Peru and the recently inaugurated Art Gallery of the Embassy of Peru in India are concrete steps to bring the people of our two countries closer. We believe that it is through culture and mutual knowledge that we can bring our people closer. It is also in this space that we are interested in promoting a better understanding of our respective realities and the challenges we face in order to achieve integral inclusive social development, highlighting the potentialities we have and the bonds that unite us. Peru is a very attractive country with a huge tourism potential. How do you propose to attract Indian tourists to Peru? Besides the unilateral relaxation of visa rules from Peru’s side, various tourist promotional activities are organised on a permanent basis, both by the Embassy of Peru in India and the Peruvian Economic and Commercial Office, with the collaboration of the best Indian publications and travel houses, in order to ensure that the Indian traveller to Peru is a well-informed traveller. It must be highlighted that the interest of Indian travellers in Peru has increased exponentially in the last few years.